Red Cliffs & District Historical Society Inc. The history of Red Cliffs is the story of the largest, and probably the most successful, soldier settlement scheme ever undertaken in Australia. Our story began in 1918 just as the first Australian Diggers were being repatriated after WW1. 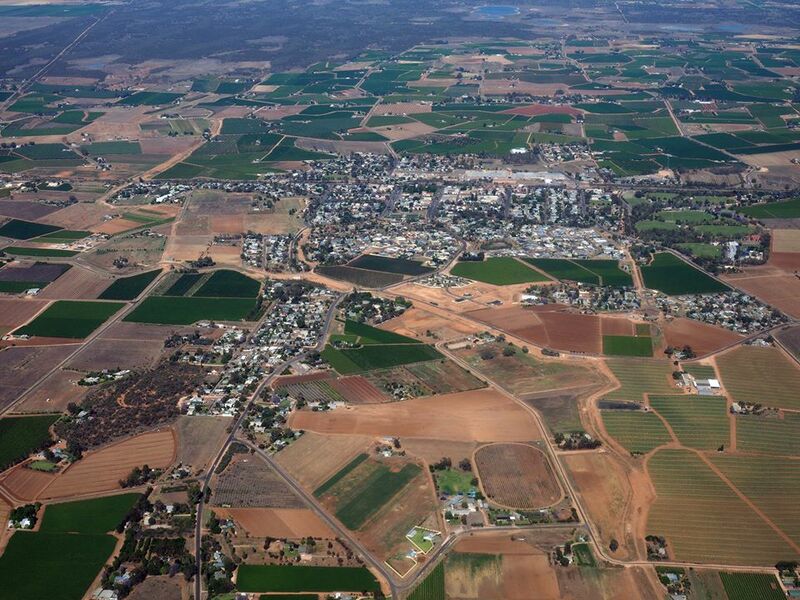 Mr A S Kenyon, an engineer (and later a Commissioner) of the State Rivers and Water Supply Commission, submitted a report to the Commission on the practicability and cost of development of 10,000 acres of Murray River frontage land under irrigation. In his report Kenyon estimated total cost at £44 ($88) per acre, included in that figure was the cost of farm establishment as well as water supply works. He considered that the settlers themselves should do all the necessary clearing and land preparation and build the distributary irrigation channels. On 19 December, 1919, a total of 33,000 acres of land was purchased by the State Government of which 18,000 acres was utilised for irrigation. The first men into Red Cliffs area when settlement was under discussion were the surveyors, Thompson Brothers and foreman, Fitzsimmons. By March 1920, they were busy surveying the contours of the land for the gravity feed channel system. The first camp for a clearing gang of 25 men was established by Jim Bailey in April 1920 and they started with one case of shovels, one case of axes and later got a second-hand tree puller and some mattocks. Within a short time Bailey was in charge of about 800 men made up of approximately 30 gangs. Approximately 5,000 acres had been cleared between the river and the railway line, by December 1920 and subdivided into blocks – 276 of these were allotted in the first allocation. What hopes and ambitions filled the hearts and minds of the returned diggers, who fresh from winning a war had now won an allocation of about 15 to 16 acres of Pine, Belah or Mallee covered earth. Kenyon envisaged that the Commission would establish its own nursery, raising vine plants for sale to the settlers. This proved later on, to be one of the most spectacular aspects of the scheme, as millions of cuttings had to be provided. It also gave the applicants employment and opportunity to learn and earn their necessary qualifications. As, to be eligible, they had to have a qualification certificate to show competency in agricultural practices. By 1924 a total of over 700 blocks had been prepared, and distributed to applicants through the further 4 allocations. To find out how Big Lizzie played a part in the clearing of the land go to the Big Lizzie link on this site.